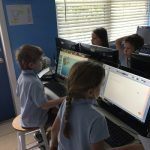 In ICT this month, the children have focused on further developing their typing skills, and have strengthened and synthesized different skills through exciting, integrative projects and presentations. 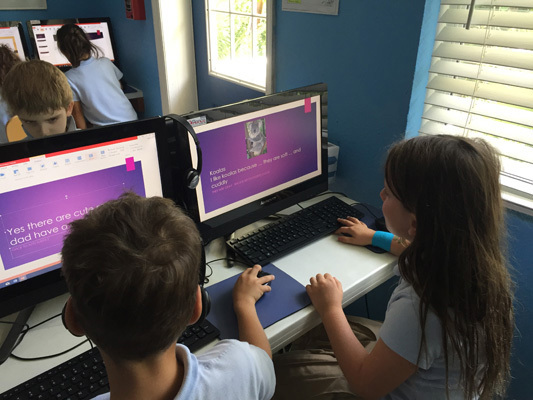 In Kindergarten, we’ve been focusing on improving our comfort in typing in each class, using our Touch Typing program. 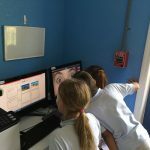 Each student is able to work at his or her own pace, moving up through the levels and improving their speed and accuracy. 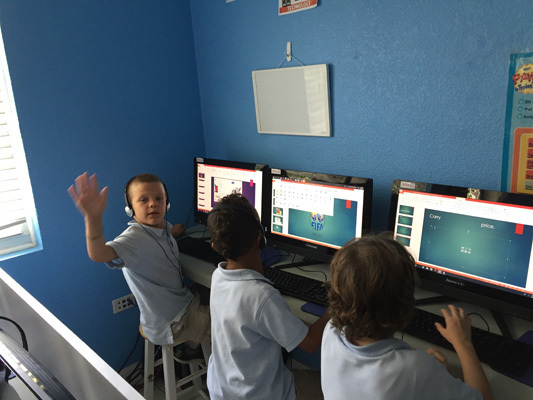 The Kindergarten students have been completing various typing challenges that encourage the use of both hands, which helps not only with familiarity with the keyboard, but also makes typing a bit easier! 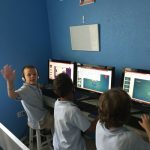 In Lower Elementary, we have focused on strengthening and building upon our proficiency in a variety of word processing, Internet search and presentation applications through fun, integrative projects. 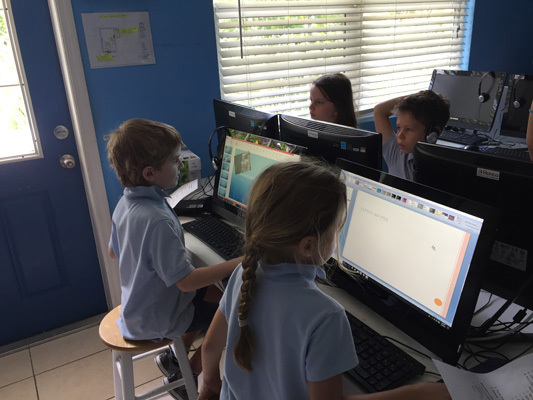 Grade One students had the chance to blend skills in a “Healthy Foods” task, wherein they used different programs and functions, such as internet searches, copying and pasting, typing, and formatting information and pictures in Word. 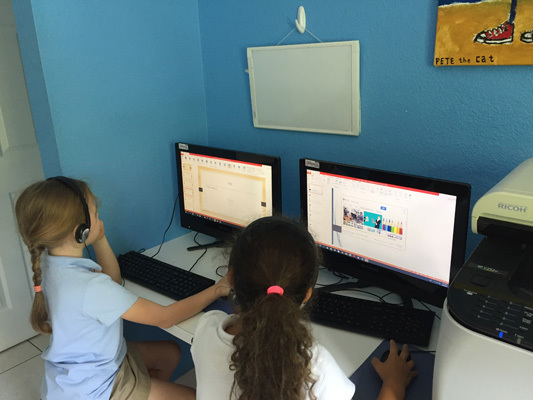 They are also now learning to use PowerPoint to create simple slideshows about their favourite things. Grade Two students also had the opportunity to create and share a presentation on their favourite hobby with the class, using PowerPoint. 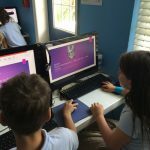 They created their slideshows using the program, choosing the design, adding transitions and animations, formatting each slide, and including appropriate photos and GIFs found through internet searches. 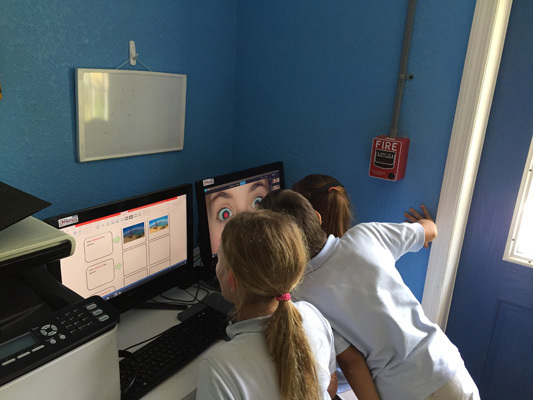 Grade Three students have been refining their photo-editing skills and are learning to properly and safely use the cameras on the computer. They have learned how to lighten, darken, remove red eye, and crop different images. 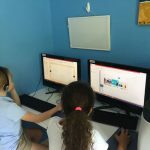 As well, they have learned how to effectively multi-task in the process: in order to complete the photo-editing project, they had to navigate many programs being open at once, and apply what they had learned last term in Microsoft Office to the task.